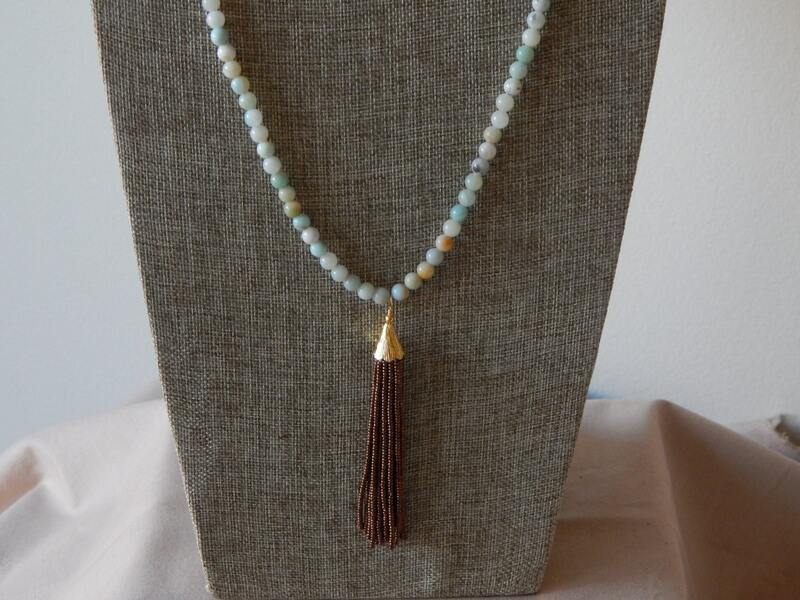 Lovely aqua amazonite beads hold a copper beaded tassel. 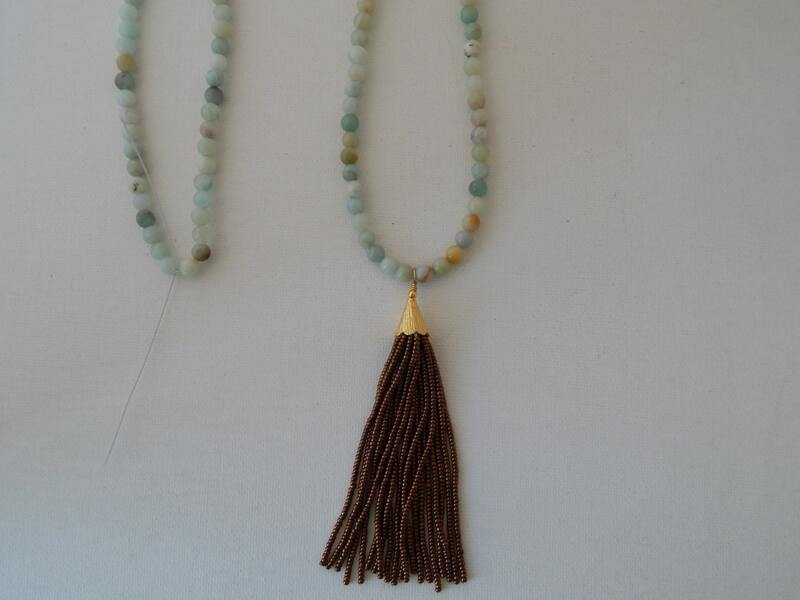 The color of this necklace is neutral enough for it to be layered with anything or wear solo with your favorite summer outfit The beach inspired colors will have you reaching for it everyday. 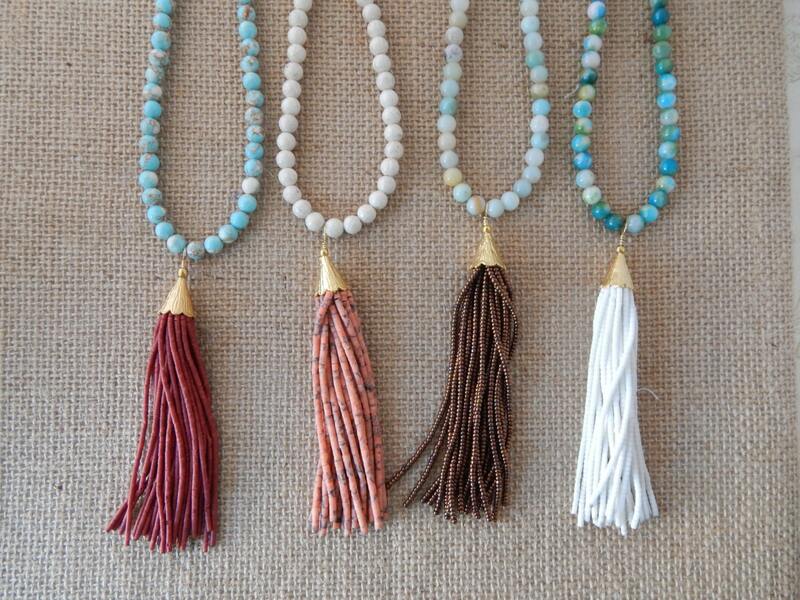 ***Listing is for one necklace only. The others can be found in my shop. 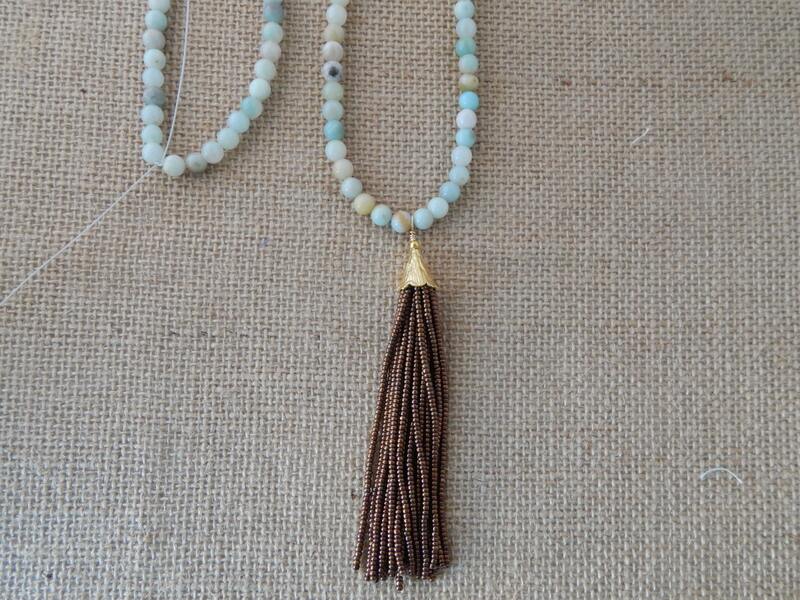 Necklace measures 36 inches long and tassel is 3.5 inches. 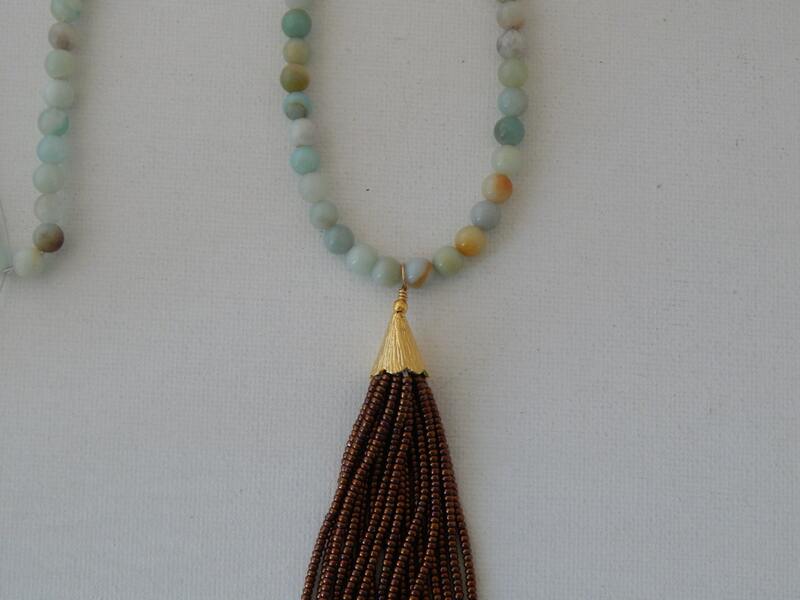 Jade beads are 6mm. No clasp just slips over the head.